For one human being to sing from the depth of her soul is perhaps one of the most difficult of all our tasks. 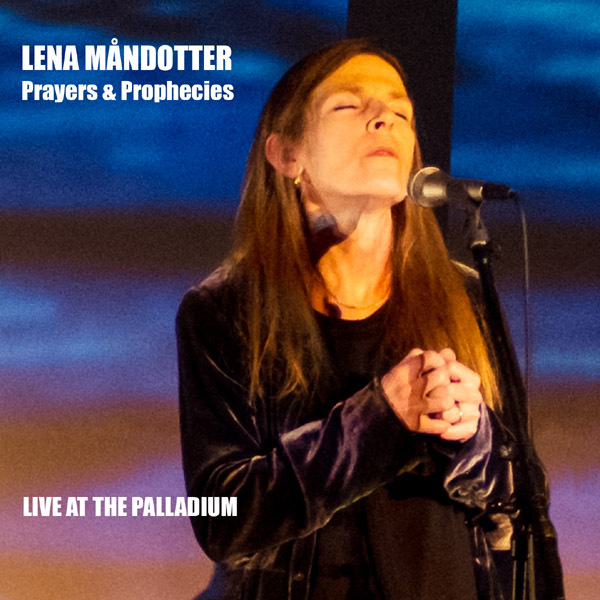 Lena Måndotter’s new album Prayers and Prophecies - recorded live at the Palladium; received excellent reviews and standing ovations from a deeply touched audience. Her own songs - a musical journey into the mystery - in search of healing of the wounded soul of the world. Soulful interpretations of Leonard Cohen, Patti Smith, Laurie Anderson and beautiful Hebrew and Greek songs. Musicians: Lena Måndotter (Lead Vocals), Pierre Engström (guitars), Åsa Gjerstad (cello and harmony vocals) and Ronnie Hall (guitar, harmonica, bodhran-drum and harmony vocals) Worldwide RELEASE DATE: 7th of November.